Three School of Education students at the University of Evansville were recognized recently at the Indiana Association of Colleges for Teacher Education (IACTE) luncheon. They were Sara Cannaday, special education, Leesa Jing, math education, and Shelby Preston, elementary education. The three received awards during the organization’s Outstanding Future Educators banquet at the Ritz Charles in Carmel, Indiana. On Wednesday, April 10, four educators in Vanderburgh County were recognized by surprise announcements as Outstanding Educators of the Year during the University of Evansville’s 28th annual presentation in the Vanderburgh County schools. The competition recognizes current classroom teachers and building principals in grades K-12 with at least three years of experience. The winners will be formally recognized during the University’s annual banquet on May 3. This recognition program is sponsored by UE and the Evansville Courier & Press. Jane Elgin has been an educator for 21 years. For the past four years, she has served as a first grade teacher at McCutchanville Elementary. Throughout her academic career, Elgin has participated in countless hours of professional development and education. In 2018, she received National Board Teacher Certification/Early Childhood. Elgin is a response to intervention (RTI) committee representative. She was invited to join the governing board at Wesselman Woods Nature Society as an education representative. Elgin’s teaching philosophy is based on a belief that each child deserves respect and empowerment. She acts on that philosophy in her classroom through planning, conversing, facilitating, and sharing learning. One of Elgin’s classes studied dog breeds and canine needs. That led to the topic of canine rescue, and her class partnered with academic intervention services students to make and donate dog treats to a canine rescue group. Another class studied migratory birds, and then partnered with Wesselman Woods Nature Center to build and plant pollinator/migratory beds on the school’s campus. Jennifer L. Stoll has taught for a total of 30 years, and has also served as a school counselor. Currently she is a special education teacher at Washington Middle School. Stoll is a member of her school’s leadership team, a Social Studies Academic Team coach, and she is a tutor for Penny Lane, her school’s afterschool tutoring program. Stoll is also an RTI teacher for students who have fallen below testing guidelines in reading, and is a homebound teacher for several students. She has been nominated by the Washington Middle School PTSA as an educator of the year, and has been recognized as a school trainer for the school’s staff. Stoll said that her main goal as a teacher is to make sure her students have what they need to be successful in life. Some need clothes, while others need attention from an adult, and still others need structure. Andrea Gordon has been a teacher for 19 years, and is currently a life skills teacher at North High School. She teaches grade levels 9-12, and beyond. Students can stay in her class until they are 22. Gordon has worked with a group of teachers across Indiana and attended training sessions for the new I AM test. This test is the summative accountability assessment for students with significant cognitive disabilities in grades 3-8 and 10. Gordon believes that the classroom should be a safe, loving environment where all are welcome and included, and successes, no matter how big or small, are celebrated. Her overall goal is to get her students ready for life after high school and the working world. In order to do that, her lessons that are geared toward functional skills that they will need in order to be successful and more independent adults. Gordon’s classroom is set up so that her students can practice practical skills such as doing laundry, making beds, and cooking, along with academic work. John D. Skinner has been an educator for 25 years, and is currently in his tenth year as principal of North High School. Skinner has been named Indiana State Principal of the Year twice, and was named the Indiana Association of School Principals District 11 Principal of the Year in 2013. Skinner said that he is just the lead learner as principal and that he and his staff are a team. Their common goal is to help all students reach their fullest potential. Skinner talks to students about the importance of getting their academic credits. He goes to summer school to cheer students on as they finish their classes. “Showing up for kids is important. It's how you earn their respect and prove you care,” Skinner explained. Skinner tries to be supportive of the teachers on his staff as well. As the school’s leader he encourages them to find success as a group and as individuals. 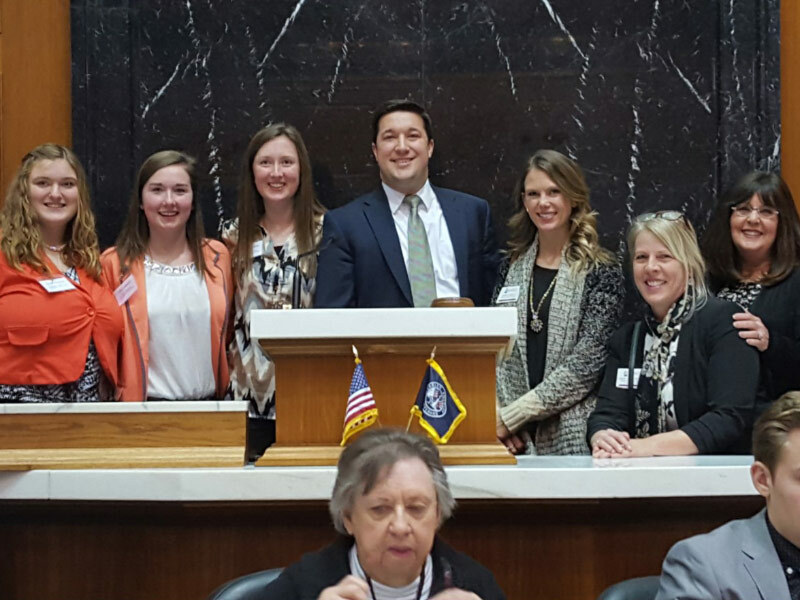 University of Evansville School of Education Ambassadors Megan Hawkins and Heather Dougan, along with department chair Sharon Gieselmann, recently advocated for the education profession at the Indiana Statehouse. There they spoke with local and state officials including State School Superintendent, Jennifer McCormick, Senator Vanita Becker, and Representative Shane Lindauer. Board of Trustees member Sally Rideout also participated in the event. This annual event is sponsored by the Indiana Association of Colleges for Teacher Education. University of Evansville assistant professors of education Amy McBride and Mary Lombardo-Graves presented at the 2019 Association of Teacher Educators Annual Meeting in Atlanta, Georgia on February 18. Their presentation was titled, "From Trinidad with Love: Two educators' journey for cultural competence." In their presentation, McBride and Lombardo-Graves discussed the need for educators to participate in professional development to examine their own intercultural sensitivity in order to increase inclusivity for diverse students in the schools. Cultural immersion provides a powerful method of developing the appreciation of cultural differences necessary to teach and model cultural competency for pre-service teachers. McBride and Lombardo-Graves shared how their attempts to build their own cultural competence through immersion in Trinidad and Tobago, affected the teaching of the pre-service teachers with which they work. Amy McBride, University of Evansville assistant professor of education, and Sharon Gieselmann, chair of UE's School of Education, published their article "The Ron Clark Academy's Impact on Preservice and First-year Teachers" in the 2018 Volume 85-2 issue of The Delta Kappa Gamma Bulletin. The Delta Kappa Gamma Society International is a professional honorary society of women educators. The University of Evansville's School of Education welcomed the Indiana Teacher of the Year, Jerome “Flew” Flewelling, to the University of Evansville on October 17 and 18. Flewelling teaches AP physics, mechanics and chemistry at Crown Point High School and has been teaching for more than 20 years. He also serves as their science department chair and as assistant theatre director. While at UE, his presentations to both student and faculty as well as high school students interested in education or STEM fields included: Courage, Creativity, and Innovation: Crafting the Profession, Finding Your True North, and Stepping into Your Courage. His messages inspired participants to engage P-12 students in meaningful ways in the classroom and to positively impact the lives of the children in our classrooms. These individuals received awards during the organization’s Outstanding Future Educators banquet at the Ritz Charles in Carmel, Indiana. Associate professor of education George Iber will presenting a paper about "Translanguaging" at ASEAN-ELT, in Malaka, Malaysia, on March 17. 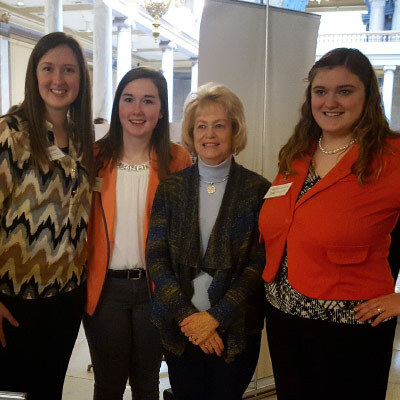 UE education students Sara Cannaday, Megan Hawkins, and Heather Dougan attended IACTE Day at the Indiana Statehouse, today. They got to speak with Senators Vaneta Becker and Jack Sandlin as well as Representative Ryan Hatfield. Others from UE along for the trip are UE education chair Sharon Gieselman, faculty member Lisa Hale, and Merrill Harper from UE Admission. Mary Lombardo-Graves and Amy McBride, both assistant professors in the school of education, will be presenting at the Annual Meeting of the Association of Teacher Educators (ATE) to be held in Las Vegas, Nevada, today. Their presentation, “Teaching Fellows: Addressing teacher shortage areas through a mentoring continuum” introduces participants to the innovative ways the school of education at UE is responding to the growing need for quality educators particularly in underserved areas. Traci Druschke, Milken Award winner, visited the University of Evansville's School of Education recently to speak with Amy McBride’s sophomores and juniors in Education 418 and 320. Druschke, a third grade teacher at Oak Hill Elementary School, presented Whole Brain Learning and Memory Models. Students will incorporate some of her techniques in their internships. The Milken Award is a prestigious honor for early-to-mid-career educators and is based on educational talent and contributions to the profession. Award winners strive to take learning beyond the classroom, provide models of excellence within the profession, and motivate novices to achieve excellence. Amber Turner Wolf, a graduate of the University of Evansville's School of Education, recently received the Indiana Special Educator Award. This honor is given to a teacher who demonstrates exceptional skill in working with special needs individuals, who goes above and beyond in every aspect of teaching, and helps to motivate colleagues. Wolf is the autism coordinator in the Bartholomew Consolidated School Corporation. She graduated from UE in 2001 with a special education degree. University of Evansville student Jennifer Riedford recently served on a student panel at the Be a Teacher, Change the World event in Indianapolis. Riedford, who is majoring in Spanish education, was one of four education majors representing universities from across the state who shared thoughts on the education profession and college life. Nearly 400 high school juniors and seniors from across Indiana participated in the event. The University’s School of Education was proud of and honored by Jennifer’s words of high esteem for the education profession. University of Evansville student Bailey Schnur was recently named the recipient of the Gary E. May Peace Scholarship. Applicants were invited to write about a variety of topics. She chose to address "How do we assess the true cost of war?" This is the second time Schnur has won the award. She is majoring in secondary social studies education at UE. Mary Lombardo-Graves, assistant professor of education, has had an article published in Issues of Educational Research. The article outlines the development of a scale, Initial Special Educator Efficacy Scale (SEES-I), to measure the special education teaching self-efficacy of pre-service teachers. Jitka Nelson, 2017 Indiana Teacher of the Year, will visit the University of Evansville campus on Wednesday and Thursday, October 11-12. She will be speaking to students and professors on such topics as strategies and tips for working successfully with ESL students and their families. There will also be an informal Q&A session. Nelson has been a teacher at Logansport Community High School since 2006. During her career as an educator, she has been an instructional assistant and classroom teacher in the Czech Republic, Canada, and the United States. A graduate of the University of Southern Bohemia, she has a BA in Pedagogy and dual MA in Russian as a Foreign Language and Music. She has received numerous awards including the 2016 Crystal Berry Award - Logansport District Teacher of the Year Award, the 2015 Woman of Distinction Award - Alpha Epsilon Chapter of Delta Kappa Gamma Society International, and the 2014 Pillar of the Logansport Community School Corporation Award. The mission of the Indiana Teacher of the Year program, which began in 1957, is to “inspire, rejuvenate and celebrate” the profession, according to the Indiana Department of Education website. Those who earn the designation continue to support the education community. As Indiana’s 2017 Teacher of the Year, Nelson will represent Indiana in the National Teacher of the Year competition. The University of Evansville has received a $113,551 grant from the Indiana Commission for Higher Education to support programs that recruit teachers in high-need subjects and schools. The University of Evansville School of Education has identified recruitment and retention of teachers as a priority and has already implemented new initiatives addressing these areas through the Teaching Aces Program. This STEM grant will allow the School of Education to expand the Teaching Aces program and license additional teachers in the math and science fields for public schools in Indiana. This grant will also offset the costs of teacher preparation for Transition to Teaching students through full tuition scholarships. Additionally, the grant will enable UE to train current, licensed elementary education teachers and undergraduate elementary education majors at the University of Evansville and enhance their knowledge of STEM education areas leading to more effective instruction in the elementary school classroom. Finally, this grant will provide funds to develop a formal orientation program for new Transition to Teaching students in the math and science fields as well as a mentoring program for math and science Transition to Teaching students and recent graduates. “The accrediting team noted that we had strong, sincere relationships with our school partners,” said Sharon Gieselmann, chair of the department of education at UE. “We are fortunate to have excellent school partners who mentor UE students during school placements beginning their freshman year. This experience allows students to apply what they are learning in university coursework in a real world classroom setting. This partnership helps us provide quality candidates who are prepared to teach in K-12 schools." The School of Education at the University of Evansville has been preparing quality teachers for over 160 years with a challenging curriculum in a supportive environment. UE students thrive in small classes with dedicated faculty advisors. 100 percent of the 2015-15 class is working in the field of education or enrolled in graduate school. The University of Evansville has revamped their teacher certification program for returning adults and cut tuition costs by 60 percent for adults with bachelor’s degrees who return to college to certify as teachers. The program, called Transition to Teaching, was developed by the UE School of Education. It was designed to respond to a dramatic increase in the need for teachers, especially in high need areas such as the sciences, foreign languages, and mathematics across the tristate area, reports Sharon Gieselmann, the chair of the department. The Transition to Teaching program requires 17 credit hours at a steeply discounted rate of $385 per credit hour. It is available for secondary certification in math, life science/biology, chemistry, physics, history, English, visual art, and music. According to Mary Kessler, dean of the College of Education and Health Sciences, the school is currently pursuing state certification of an elementary education Transition to Teaching Program and hopes to be able to offer it in the spring of 2017. Much of the instruction in the Transition to Teaching Program occurs in the schools through a series of internships and student teaching experiences. One of the most attractive features in the UE program, according to Gieselmann, is that it can work with individuals currently teaching with provisional certifications to build internships and student teaching experiences around their existing classroom activities. Additionally, those with a bachelor’s degree and the passion to teach or the desire for a career change can enroll in the program and meet requirements to obtain a teaching license. Questions about the University of Evansville Transition to Teaching Program should be directed to Tammy Flanagan, student services specialist in the Center for Adult Education, at tf62@evansville.edu. Caze Elementary School teacher Jeremy Buente, a 2008 graduate of UE’s School of Education, has been named to the Evansville Business Journal's 2016 list of 20 Under 40. The magazine stated that all of the professionals in the list "excel at their careers while donating time, effort and talent to the betterment of the Tri-State." Buente was awarded the 2016 Elementary School Teacher of the Year for Vanderburgh County, sponsored by the Courier and Press and the University of Evansville. In addition, he was named the 2016 Indiana PTA Outstanding Teacher of the Year. School of Education chair Sharon Gieselmann said that, "Jeremy is a wonderful example of the type of professional educators we develop in the School of Education. He is an outstanding teacher who lives a life which encompasses all aspects of his school and community, while maintaining his focus on his students." George Iber, associate professor of education, received a UE Global Scholars Award. This summer he spent three weeks in the Merida, Mexico area connecting with the University of Yucatan faculty of English and Spanish at their Center for languages. There, he toured their facilities and learned about their English as a foreign language program (EFL). He will return later in the year to observe their classes and participate more actively. Matthew Knoester, assistant professor of education, and Mari Plikuhn, assistant professor of sociology, have had an article published in the Journal of Literary Research. The article, titled "Inquiry into the Independent Reading Development of First-Generation College Graduates with Advanced Degrees," can be found here. The Institute for Global Enterprise has announced the Global Scholars for the 2016-17 academic year. They are: Jeffrey Braun, department chair and professor of physics; George Iber, professor of education; Richard Maass, assistant professor of political science; Valerie Milholland, adjust professor of art; and Gail Vignola, academic director of the writing center. Each Global Scholar will receive a stipend and travel allowance. Visit this website to read a brief description of each project. As Global Scholars, the recipients of this award will engage in scholarship, curriculum development, and activities related to preparing our students and community for global leadership, citizenry, and success. The Global Scholars program is supported by the John H. Schroeder Global Scholar Endowed Fund and the Lilly Endowment. Congratulations to Jennifer Riedford, Spanish Education major, for winning the outstanding Spanish Student Award! Elementary Education Major, Maisie Lee, was one of four student recognized university wide by the Center for Career Development for outstanding work during the 2015-16 academic year as an advocate. The advocates were recommended by their academic dean and provided fundamental career development services for students. In this first year of the program, over 200 students were assisted by this outstanding cadre of young professionals. Congratulations to Leanne Nayden, who was named to UE’s School of Education Honor Wall to recognize her outstanding service and accomplishments in the field of education! University of Evansville assistant professor of Education Matthew Knoester presented two papers on April 11 in Washington, D.C. at the annual meeting of the American Educational Research Association (AERA). The first paper was titled "Astronomical Inquiries" and was part of a panel entitled "Interdisciplinary School-wide Learning: Practitioner Inquiries into the Impacts of Multiage Themes on Student Learning and School Culture." The second paper took the form of a poster and was titled "Standardized Testing and School Segregation: Like Tinder for Fire?" It contributed to a session entitled "The Complexity and Multiple Spaces of Social Justice in Action." Assistant professor of Education Matthew Knoester presented two papers in Washington, D.C. at the annual meeting of the American Educational Research Association (AERA) on April 11. The first paper was entitled "Astronomical Inquiries" and was part of a panel entitled "Interdisciplinary School-wide Learning: Practitioner Inquiries into the Impacts of Multiage Themes on Student Learning and School Culture." The second paper took the form of a poster and was entitled "Standardized Testing and School Segregation: Like Tinder for Fire?" It contributed to a session entitled "The Complexity and Multiple Spaces of Social Justice in Action." The School of Education recognized four seniors, class of 2015-2016, with the Indiana Association of Colleges for Teacher Education Outstanding Future Educators Award. 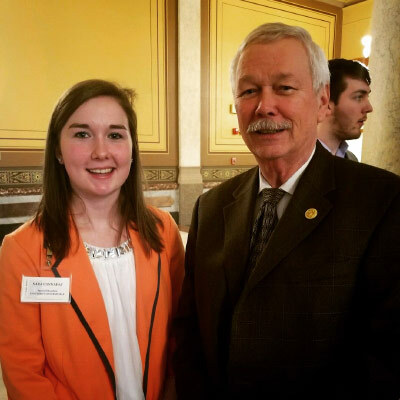 These students were recognized at a ceremony in Indianapolis with others from across Indiana. Congratulations to Alexa Rasche, Madison Rasche (special education majors), Tabitha Zimmerman (secondary education major-German), and Jill Caldemeyer Hagman (elementary education). Amy McBride, assistant professor of education, received the Chi Omega Professor of the Year Award for her outstanding work in the classroom and at UE. Assistant professor of philosophy Lisa Kretz will attend the International Association of Professional and Practical Ethics Annual Conference this week. She will be sharing research findings from a collaborative research study that she completed with UE assistant professor of education Matthew Knoester. The University of Evansville School of Education has announced plans for new Teacher Recruitment and Retention Programs, beginning in Fall 2016. The new programs are aimed at increasing the number of students earning a teaching certificates and licenses and increasing retention among new teachers in the schools to help supply the ever-increasing need for effective teachers in K-12 schools. According to Paul Parkison, chair of UE’s School of Education, studies from the American Association of Colleges for Teacher Education and the US Bureau of Labor Statistics report a national trend indicating a dramatic decline in enrollments in teacher preparation programs. This when combined with the projected 17% increase in demand for teachers shows a picture of an emerging crisis in K-12 education. The UE Teaching Fellows Program will identify candidates who want to teach in underrepresented areas. These individuals will be eligible for scholarships and loan forgiveness programs their junior and senior years in order to support tuition costs. The program will provide mentoring and academic support for these individuals to ensure program completion and teacher certification. The UE Transition to Teaching Program will help individuals who hold degrees in high need content areas (such as STEM) to become classroom teachers. This will be a remarkably affordable way for local professionals interested in pursuing a teaching credential to do so. Degree Pathway Collaboration with Ivy Tech will allow students with an associate’s degree to enroll at UE in order to complete their bachelor’s degree and Indiana state teacher licensing in elementary and secondary education. Novice Teacher Induction and Mentoring Program will improve the performance and retention of new hires to enhance their skills and prevent the loss of new teachers. The UE Teacher Recruitment and Retention program is being implemented with recruitment under way for the summer and fall 2016 terms. Hlawn K. Zathang, an accounting major from Indianapolis, Indiana, and Nathan Graves, an education major from Renssalaer, Indiana, were named the University of Evansville’s Outstanding Seniors during today’s Commencement Ceremony at the Ford Center. The Mabel Dillingham Nenneker and Guthrie May Outstanding Senior Service Awards are the highest honors the University presents to one female and one male senior. They are named for two of the University’s most respected alumni, Mabel Dillingham Nenneker and Guthrie May. Zathang was the recipient of the Mabel Dillingham Nenneker Outstanding Senior Service Award. She graduated with an accounting degree and has earned sufficient credit hours to sit for the Certified Public Accountant exam following graduation. In 2008, Zathang moved with her family to America from Burma (now Myanmar). Nobody in her family spoke English, so she committed to learn English fast in order to assist her family with the transition. Zathang has also volunteered to assist other refugee families relocate to America. She is one of approximately 10,000 Burmese people now living in south Indianapolis. Through these experiences, Zathang became inspired to give back by helping others. Since her arrival in Evansville, she has volunteered at the Evansville ARC Industries, Little Sisters of the Poor, and Pine Haven Nursing Home. Zathang is involved with the Burmese American Institute, a not-for-profit organization that helps students and people in the community focusing on college research, tutoring, and childcare development. Zathang helps students with research, tracks cash flow for the Institute’s program, calculates staff payroll, organizes participant, staff, and organization partner files, and assists with fiscal reporting. The Guthrie May Award was presented to Graves, who was also the ceremony’s senior keynote speaker. He graduated with a bachelor of science in special education and elementary education, and will attend Vanderbilt University in the fall to pursue a master’s degree for a future in higher education. Graves helped incoming and potential students as an admission ambassador and orientation leader, and was involved with local schools through practicums and internships. He served as event coordinator for an after school program that finds homes for those whose situations leave them without a place to live. Graves was inspired to enroll in a social responsibility class to become more culturally competent, and participated in training provided by the Anti-Defamation League. He went on to lead small group discussions on campus in an effort to educate others in diversity and acceptance. His list of involvements is long, but he says it’s not titles, the clubs, or the committees that matter - his participation was always with the goal to understand people better and to help in situations where there was opportunity to make a positive impact on others and help people. A special presentation on autism, “Rethinking Autism: Wretches & Jabberers,” is planned for Wednesday, April 15, at the University of Evansville. The event is scheduled from 4:30-6:00 p.m., in Room 170 (Smythe Lecture Hall) in the Schroeder School of Business Building. The presentation is being hosted by Optimal Rhythms, Inc., and is free and open to the public. University of Evansville professor emeritus Earl M. Tapley, psychologist and educator, died on December 23. He was 101. He is survived by his son, Dwight, (Barbara Martin), a physician in South Bend, Indiana, daughters Sharon Goodson of Haymarket, Virginia (Roger Goodson), and Annette Pace of Evansville, Indiana, 11 grandchildren, and 15 great grandchildren. He was preceded in death by his wife of 68 years, Ruby, his son-in-law Elbert Pace, and four brothers and three sisters. Born in Georgia, the son of a tenant farmer, Dr. Tapley graduated from Vanderbilt University, received his Master of Arts degree at Peabody-Vanderbilt with studies in the Vanderbilt Divinity School, and earned his Ph.D. at the University of Chicago. He was an ordained Methodist minister having served churches in the South and Midwest before becoming a college professor and administrator. Dr. Tapley was dean, vice president, and interim president of Lee University, and assistant to the president in public relations and head of psychology and the Testing and Counseling Center at the University of Chattanooga. He then accepted a position at the University of Evansville, where he was professor, director of research, dean of the School of Education, and dean of the Graduate School. He served as consultant and accreditation examiner of colleges for a national and the regional accreditation associations. Though he retired in 1979, he remained at UE for seven years as Director of International Studies and Travel. He and Ruby established a UE scholarship for ministerial students in 1986. Recently, because of the Tapley’s generosity to the University, the School of Education Multimedia Center was renamed The Earl M. and Ruby J. Tapley Education Resource and Multimedia Center. Dr. Tapley was a world traveler, having traveled extensively on every continent except Antarctica, visiting more than a hundred countries. His funeral was Friday, January 2 at Palm Harbor United Methodist Church in Palm Harbor, Florida. He was inducted into the School of Education Honor Roll in 2013. Dr. Tapley was a good friend to the University of Evansville School of Education, and he will be missed. 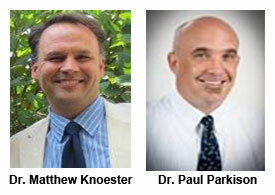 An article co-authored by Dr. Matthew Knoester, assistant professor of education, and Dr. Paul Parkison, associate professor of education and School of Education department chair, entitled "Where is Citizenship Education in the Age of Common Core State Standards?" will appear in an upcoming edition of the journal Critical Education. The article shows that educational reforms in recent decades have focused on jobs and the economy to the detriment of serious citizenship education and suggests that political discourse and engagement have suffered as a result. Mary Lombardo-Graves, assistant professor of special education, has successfully defended her dissertation, "The Effect of Mentoring Intervention on the Teaching Self-Efficacy of Pre-service Special Education Teacher Candidates”. She has completed the requirements for her doctor of education degree in curriculum and instruction specializing in curriculum leadership at Northern Illinois University. The University of Evansville’s College of Arts and Sciences is pleased to announce the 2012-13 schedule of Andiron Lectures in the liberal arts and sciences. Established in 1982, the Andiron Lectures offer stimulating research, commentary, and reflection from many fields of study. Presenters are primarily drawn from the faculty of UE’s College of Arts and Sciences but also include faculty members and administrators from across the University campus and contributions from the regional community. The Andiron Lectures are free and open to the public. Each of the following lectures will begin at 4 p.m. in Eykamp Hall (Room 252) in the Ridgway University Center. The Andiron Lectures are sponsored by the University of Evansville College of Arts and Sciences and supported by a generous gift from Donald B. and Jean Korb. For additional information, please contact program coordinator M. Christine Mohn at 812-488-2585 or the College of Arts and Sciences at 812-488-2589.